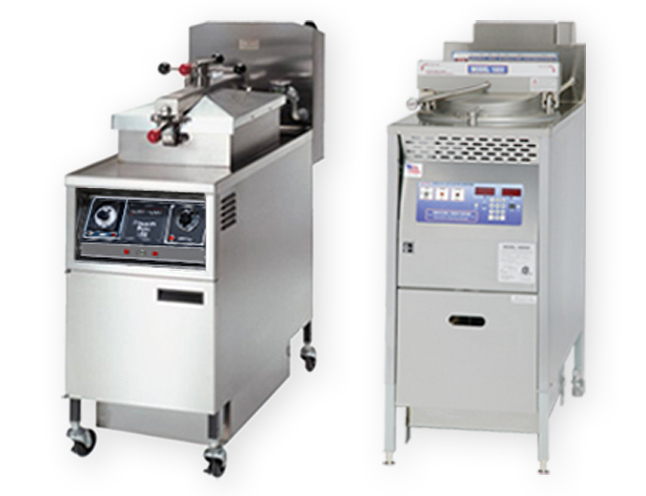 We sell re-conditioned commercial pressure fryers, including Broaster®, Henny Penny®, & BKI® brands. Your best source since 1985! We can rebuild the pressure fryer you currently own. We buy used equipment in any condition. We sell new parts for commercial pressure fryers. International inquiries are welcome. Worldwide shipping is available. Copyright © 2019 Pressurefryers.com. All equipment and parts are subject to availability. All OEM manufacturer brand names shown on this web site are registered trademarks of their respective companies. Commercial Cooking Systems, LLC operates the Pressurefryers.com web site, and is an independent re-seller of restaurant equipment and replacement parts. Commercial Cooking Systems, LLC is not an official representative or affiliated in any way with OEM manufacturers referenced on this web site.